- - Buyers Financing fell thru, Now it's Back - - BETTER THAN EVER = With a new roof, gutters & downspouts. This sprawling ranch is on a quiet cul de sac & Large (1/3+ acre) fenced yard would be wonderful for pets or family! A shed, garden area and burn pit will add to the enjoyment. 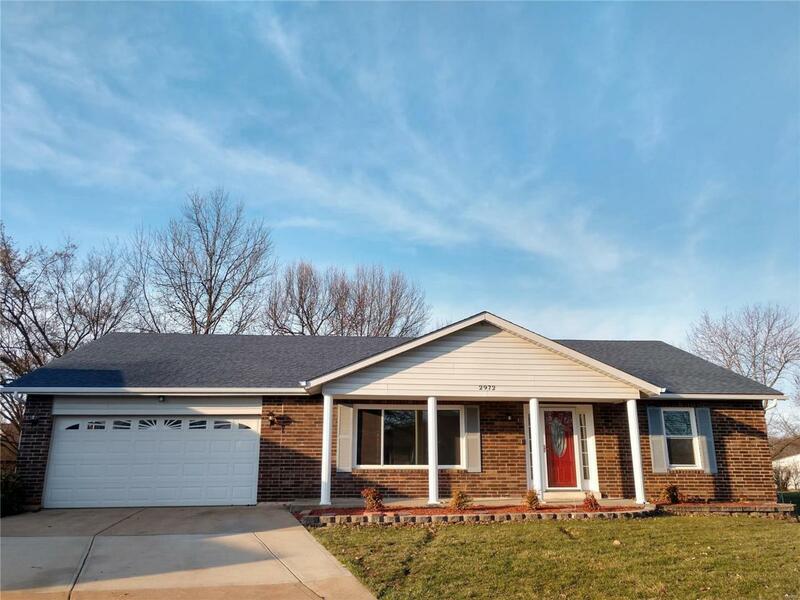 This open & spacious ranch home has been updated with a kitchen full of cabinets and even a coffee bar/buffet! Updated flooring flows from room to room. The formal living room features gleaming floors & a picture window, perfect for plants. Separate dining room and cozy family room which has a wood burning brick fireplace. Lower level is partially finished. 2 Car garage w/ door opener and a convenient/desirable area and school district. Make your appointment today! Listing provided courtesy of The Property Brokers Firm. Listing information © 2019 Mid America Regional Information Systems, Inc.